Bring your group to the Roof! The venue is walking distance to Convention Center, major hotels, Horton Plaza, Petco Park, and all that downtown San Diego has to offer. 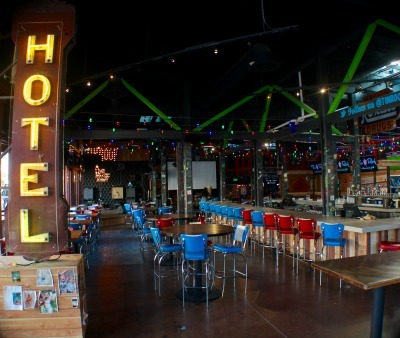 Our space is 11,000 square feet and can accommodate up to 550 guests. Let us customize the perfect food, beverage, and entertainment package to make your event fun & amazing. With LCD digital monitors throughout, a 10’ projection screen, a full professional stage, sound, & lighting packages, branding is made simple ensuring each event is unique for you and your guests. 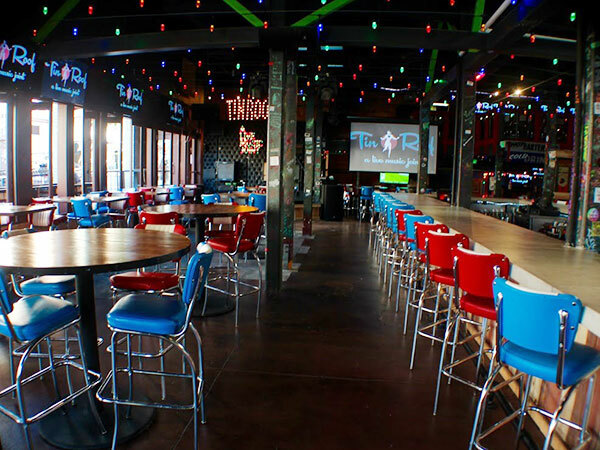 Tin Roof is the perfect place to bring your corporate group. We offer customized food, drink and entertainment packages. Let us plan your unforgettable event! 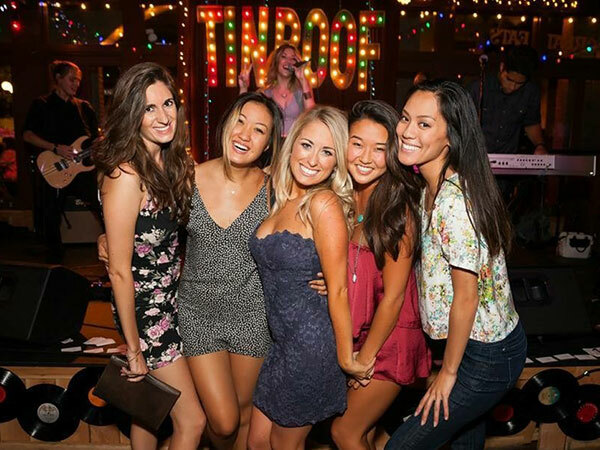 Whether you are hosting a bachelorette party, bachelor party, birthday or any small group ready to party big, Tin Roof is the place to celebrate from brunch to late night! 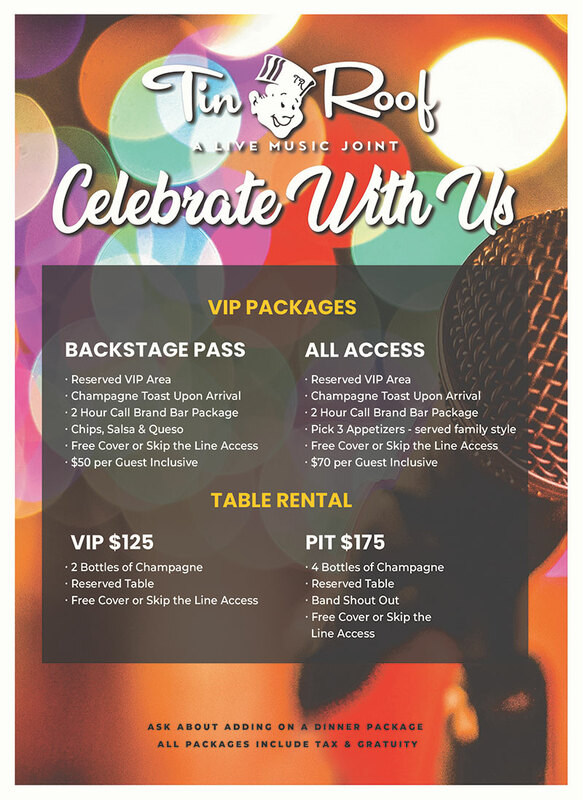 Inquire about one of our VIP packages below. Let us customize the perfect menu for your group. We are located within walking distance to the Convention Center, Horton Plaza, Petco Park & all Downtown & Gaslamp Hotels. HOST YOUR happy hour at the Roof! Bring your group in for the perfect happy hour event. We offer appetizer and drink packages for groups of all sizes.